They come from all over the world to our Pizza School to Master the Art of Pizza. That is why you come to the Pizza School of New York to Master the art of Pizza .Our pizza school Masters go out into the pizza world and create some amazing pizza! They all come with passion and most without any experience at all. Each student is different in every aspect some are more business orientated, some are chasing their dreams, some just love pizza. Whatever their passion is and needs are we work with them one on one to achieve their goals. 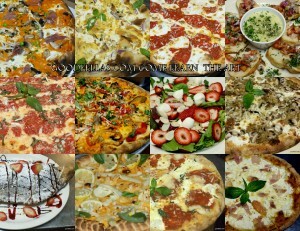 When it comes to great pizza everyone knows New York is the place for pizza! So why not come, master, the art with the 4-time world champions of pizza! We teach every style of pizza and will show you the way to make incredible creations that will crush any competition and help you to succeed . Always one on one training live in a real restaurant environment Call us today and we will make a master out of you today 718 987 2422 .